The standalone follow-up to the critically-acclaimed and best-selling Pandemic Legacy: Season 1. 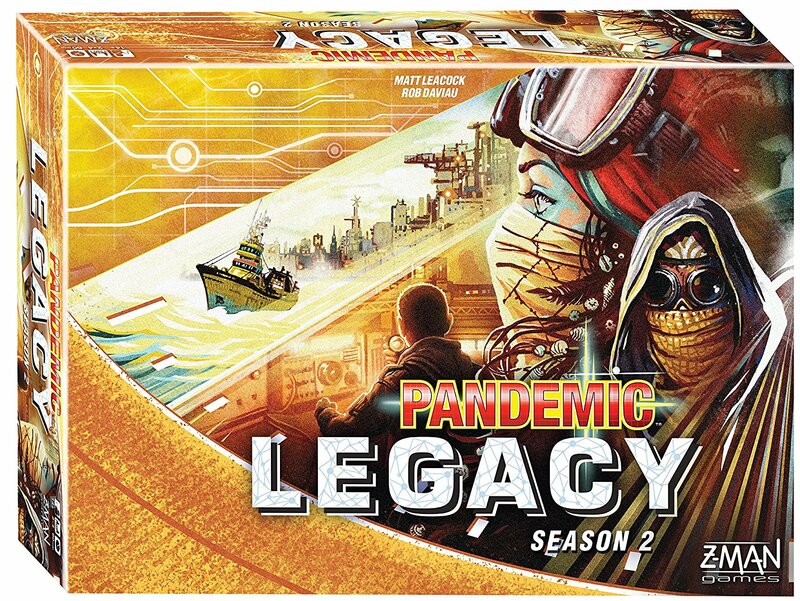 Pandemic Legacy: Season 2 offers a dynamic experience that sweeps players up in a desperate fight for survival.. The world is on the brink of total collapse. Already devastated by a terrible plague, much of the globe has gone dark. Small groups of survivors struggle to keep the world alive, but their efforts are no longer enough. The world needs leaders to rise up and find the way back from the brink of extinction. That task has fallen to you. You must find a way or nobody will. You are humanity’s last chance. Pandemic Legacy: Season 2 is an epic cooperative game for 2 to 4 players. Unlike most other games, this one is working against you. What’s more, some of the actions you take in Pandemic Legacy will carry over to future games. No two worlds will ever be alike! Pandemic Legacy: Season 2 continues the epic struggle for the fate of humanity. You do not need to have played Pandemic Legacy: Season 1 to experience the exciting gameplay of Pandemic Legacy: Season 2.